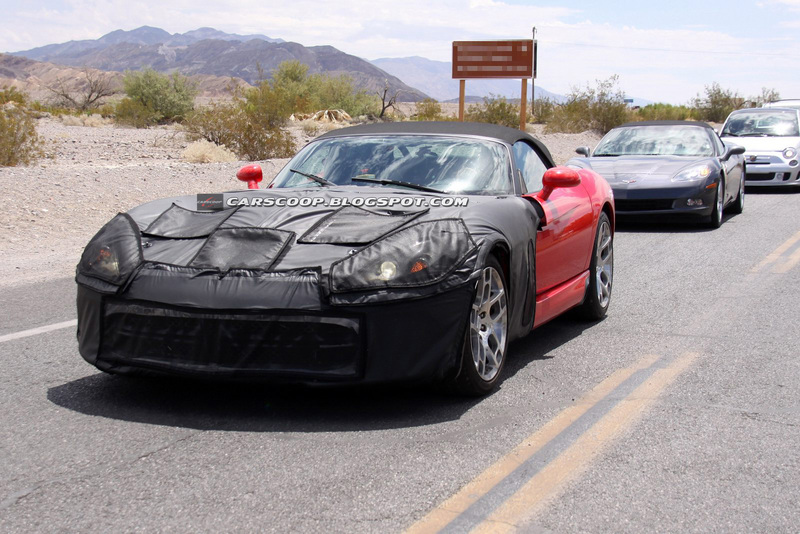 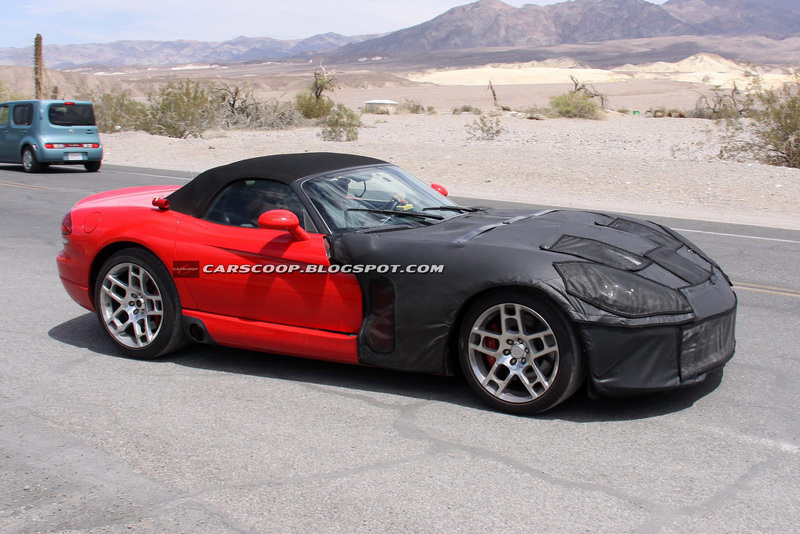 Spy photographers managed to snap the all new 2013 Dodge Viper out in public. 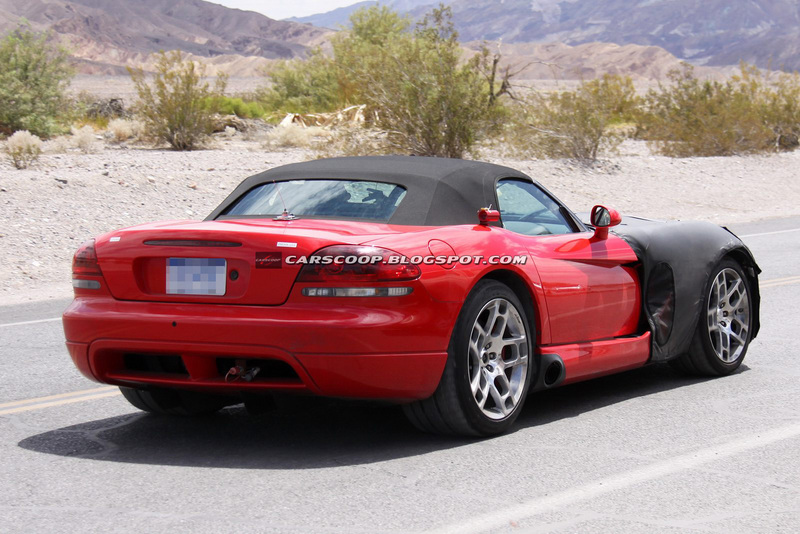 Viper had the last generation rear-end combined with masked new front-end. 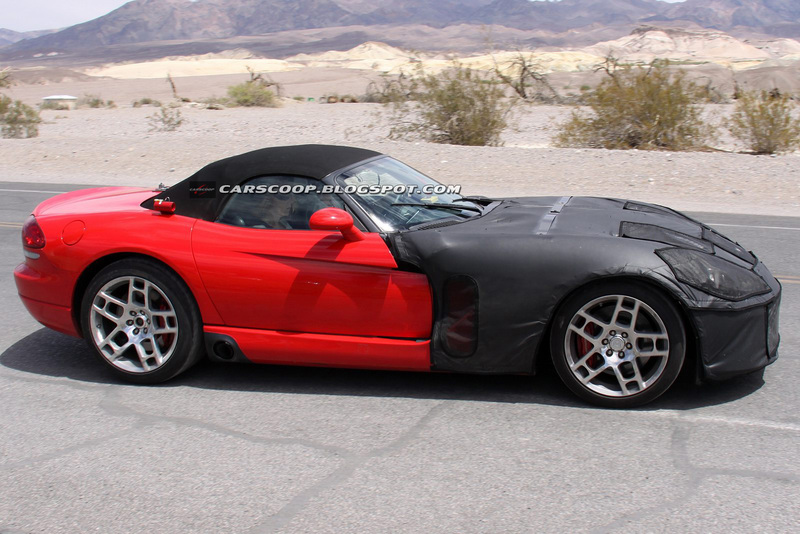 Looks like 2013 Viper will feature the latest interpretation of Dodge’s crosshair grille mounted low on the front bumper along with longer headlamps that swoop over the front fenders. 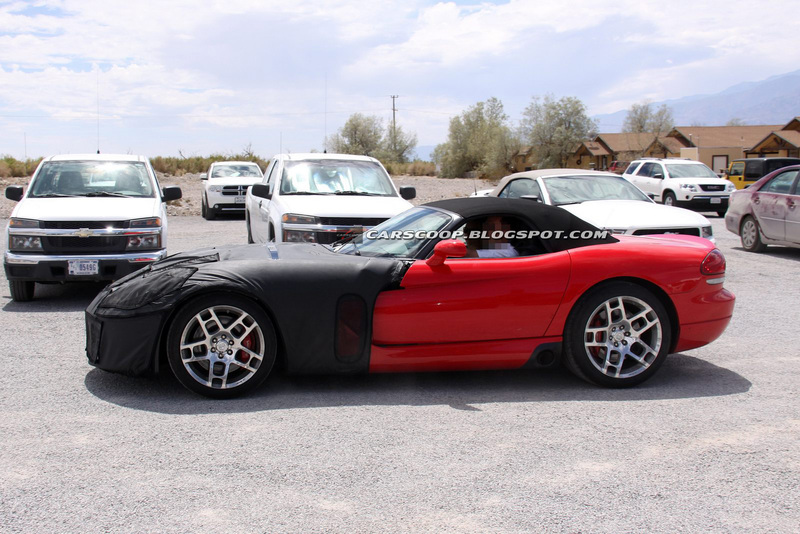 The patches on the hood shows that snake will have new air vents. 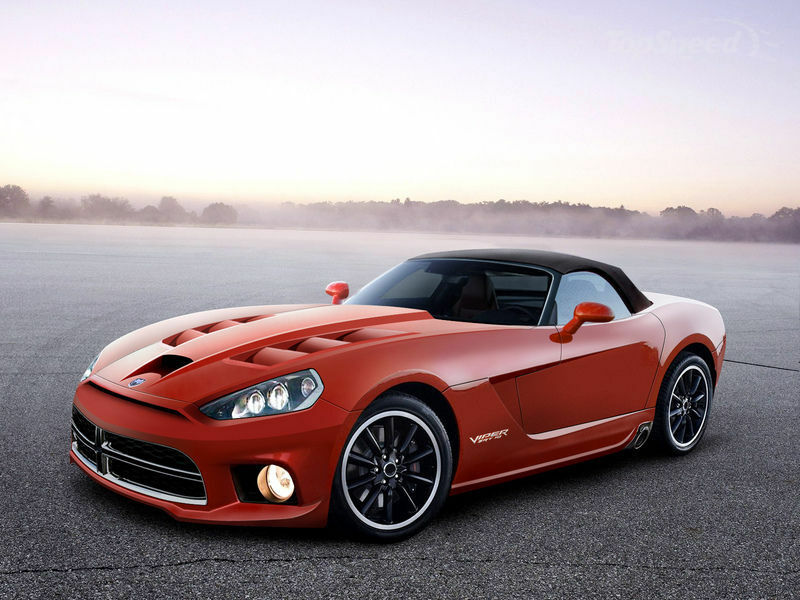 Officially Chrysler Group unveils no details except that 2013 model will feature stability control. 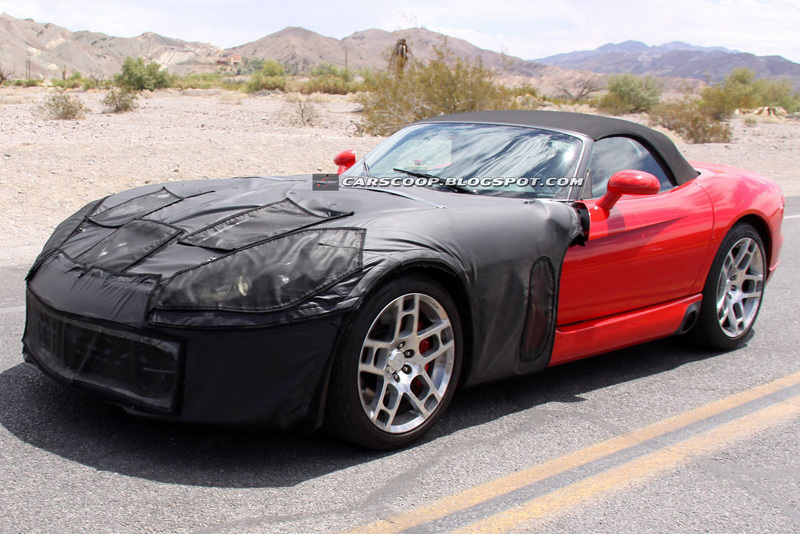 Refined Fiat-tricked V10 is rumoured to be used under the hood.